Show your gamer pride with this Super Mario Bros. Question Block Key Chain. 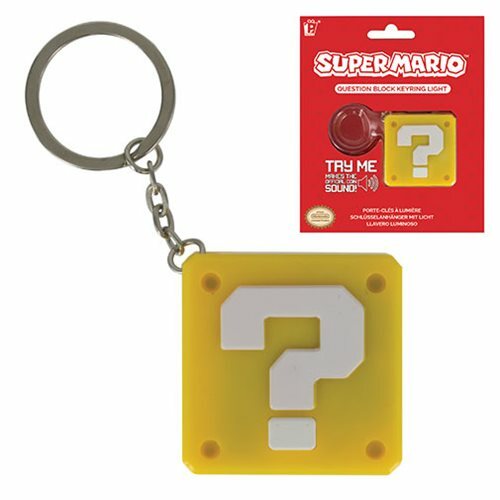 This fun light up key chain is shaped like a question block from the Super Mario Bros. video game. It's the perfect size to display on your keys, backpack, or just about anywhere else! Requires 3x "AG3" batteries, included. Ages 6 and up.